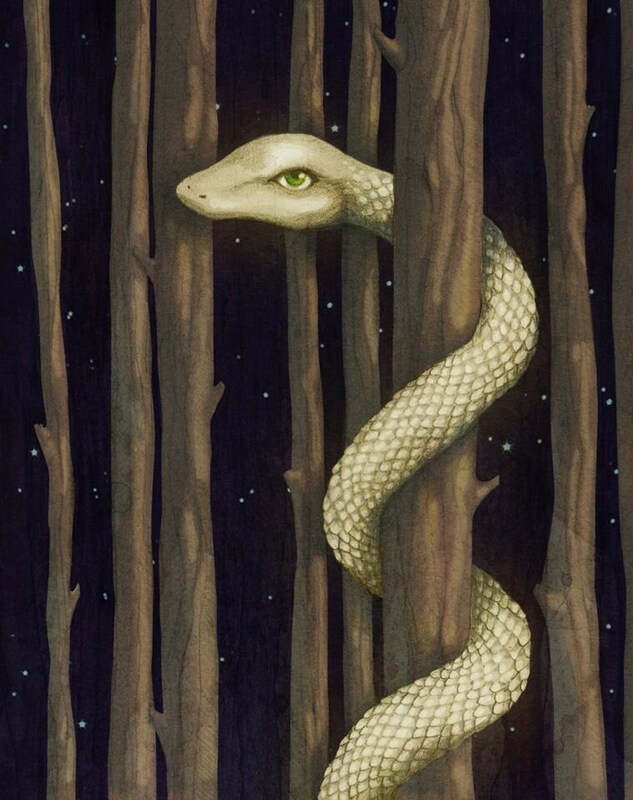 A giant glowing solitary snake makes her way up a tree in the dark forest. This art print is inspired by wilderness and nature, and the wise animals in it. SIZES: Available in 4 sizes: 5"x7," 8"x10," 8.5"x11" and 11"x14. BORDER: Sizes include a white border for easy framing. Border is approx .5" for 8x10 and larger prints, and .45" for 5x7 prints. This listing does not include a frame or mat. PAPER: Printed on premium quality heavyweight fine art matte paper and signed on the front in pencil by me. This is a high quality, unframed print. The original artwork was created by me with graphite and photoshop. It will be signed on the front in pencil and will be shipped to you in a cello sleeve with a tough chipboard backing in a rigid mailer. Buy more than one print and get a 15% discount! Use coupon code "MOREPRINTSYAY"! Copyright ©2014 Alexis Rawlins. All rights reserved. I really love the 2 otters, they’re so cute! I gave it to my ‘significant otter’ and he absolutely adores it. The shipping was great: I recieved the order within a week. And it was packed really nice. Thank you a lot! Ιt arrived yesterday and it looks great! Very carefully packed with beautiful stickers! Great print and condition, thanks. Alexis was also kind in answer all my q's.